Did You Know Mars Is Red? What About Lipstick? 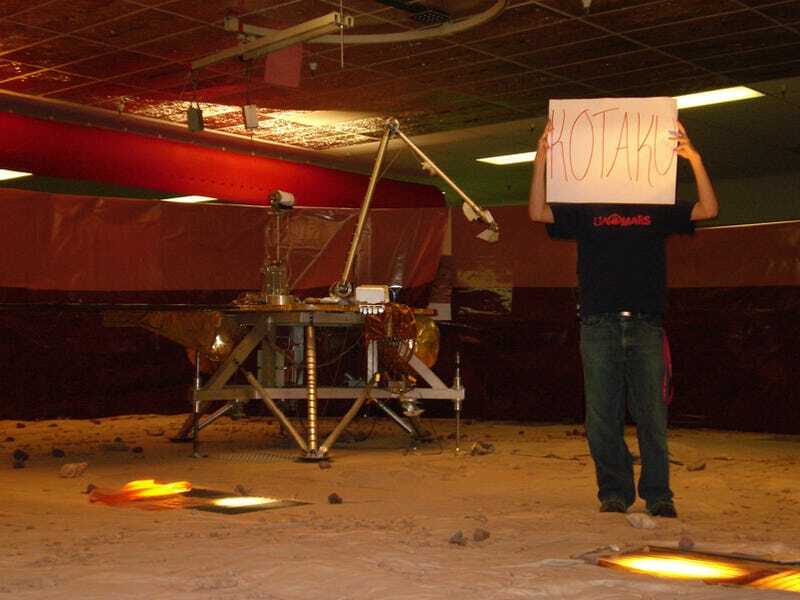 Here's a picture of me with the Phoenix Mars Lander on the Red Planet. Don't forget the red UA Mars logo as well! Oh we won't Chris, we won't. We applaud this use of red. Reader Lizzz (below) may not have been to Mars, but she has a red phone, and that's gotta count for something! Take a picture of red things - the more the better! Be sure to include a "Kotaku sign" in the picture. Send your entries to kotakucontestATgmailDOTcom by TOMORROW AT MIDNIGHT. Be sure to read our rules, because rules are rules, and that's the rule.